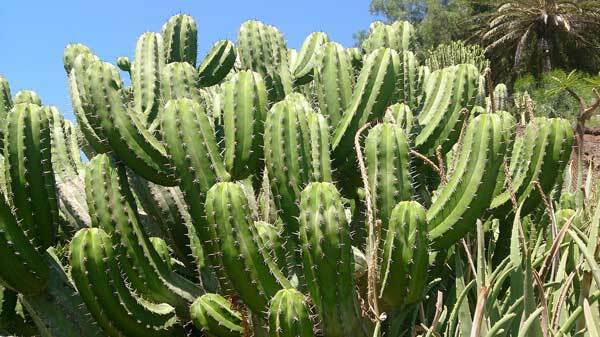 Cactus is a plant which is covered with spikes and grows in dry places. Cactus is a singular word that only refers to one plant, but if you want refer many plants than use its plural form which is “cacti”. Cactus is the member of “Cactaceae” family of the plant. There are about 1750 known species of the cactus plant which are found across different regions of the earth. Cactus’s spikes are very poky and some species have poisonous spikes, so touching them should be avoided. Besides being spiky, cacti can also grow beautiful flowers that last for hours to weeks. What Does Cactus Look Like? Cactus is known for their spikes and thorns distributed across its structures. 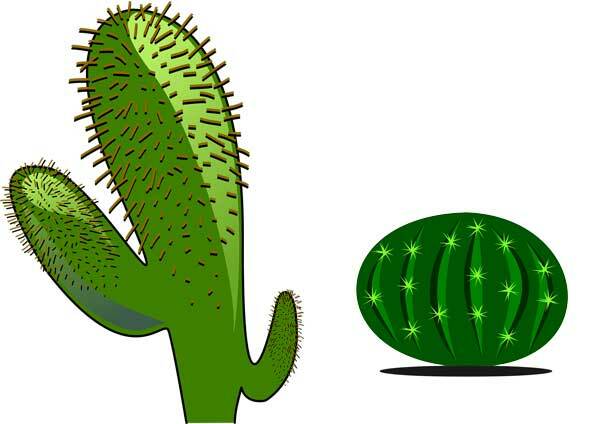 They usually don’t have leaves, but some species are found to have long-lasting leaves.Cactus plants have different sizes and shapes for different species. Some species are round like a ball, while some are tall with branches. You may also find cacti which look like humans with one leg; if you see their silhouette. The common color of the cacti is green, but they have other colors too which are brownish-green and bluish-green color. Cacti have adapted themselves to live in the dry place by conserving the water. Cacti adaptions are so amazing that they can survive the world’s driest place in the Atacama Desert. Cacti are usually found in deserts around the world. But, their growth is not limited to dry places. Some species of cactus also grow in the rainforests. 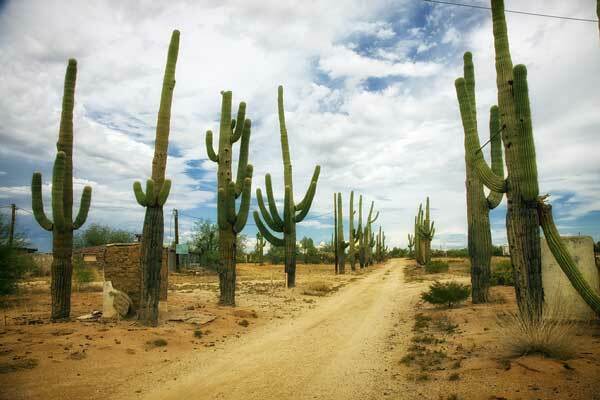 Cacti have brilliant ability to save the water in very hot and dry places where rainfall occurs rarely. This water saving ability is due to their adaptions in many structures. The cactus has either thick leaves or no leaves at all. As a result, the surface-area to volume ratio of the cactus is reduced. Surface-area to volume ratio determines how much water will evaporate. 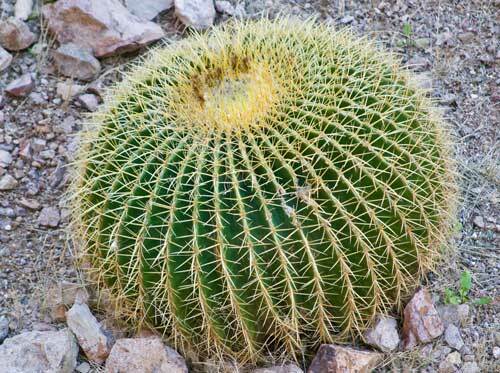 Also, the stem of the cactus is cylindrical or spherical, which also reduce the surface-area to volume. The cacti store most of their water in the stems. The stem has layer very tough later that is reinforced with waxy skin, which further reduces the loss of water. Cacti store the water in viscous form – much like honey – which helps to prevent water loss. The roots of cacti spread widely to a large area and absorb the water quickly during rainfalls. Also, the roots grow quickly to widen them for absorption of even more water in rainfall season. All these adaptions allow the cactus to sustain a hot and dry place for longer. Cactus has got a good lifespan. The typical age of a cactus is about 15 years, but some cactus plants were discovered that reached the age of 300 years. Many species of the cactus are edible. You can eat them boiled, or fried. The water stored in the cactus is very viscous, but it is drinkable (not tasty!). A lot of survivors of deserts have reported that they saved their lives from thirst by drinking cactus water. Abdul Wahab, "Cactus," in Science4Fun, April 13, 2019, http://science4fun.info/cactus/.